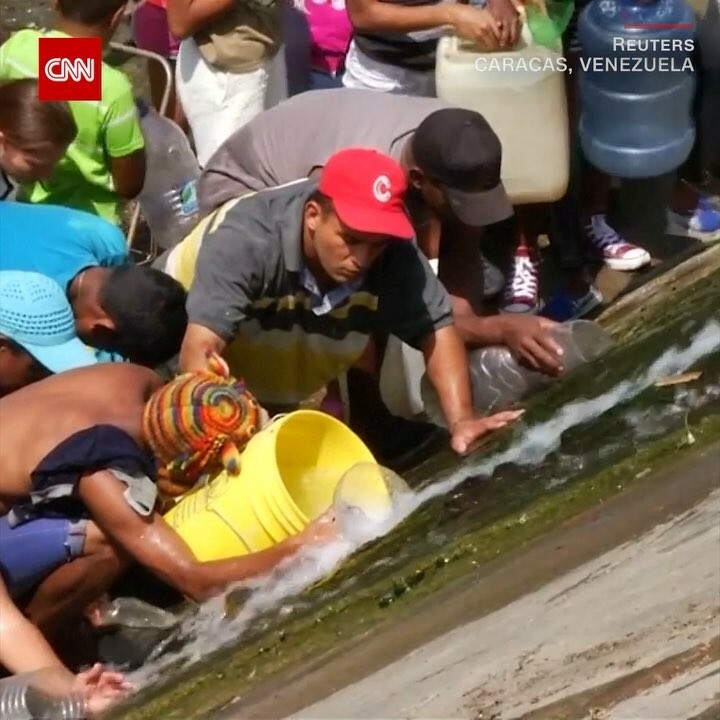 A huge blackout has left many homes in Venezuela without running water, forcing people to bring buckets and bottles to natural springs and drainpipes. A series of power outages have swept the country over the past week, leaving hospitals, businesses and water pumps without the electricity they need to run. It’s unclear whether the water being collected is safe to use.